YoungMinds, the UK’s leading children and young people’s mental health charity, is kick-starting a mass movement for change that will lead to improved mental health for children and young people across the UK. The movement for change will be YoungMinds most ambitious campaign to date and is being backed by Comic Relief and the Big Lottery Fund. The Big Lottery Fund has announced it is awarding £375,000 from its flagship Reaching Communities programme, which helps people most in need and builds stronger communities. Comic Relief is matching the funding from The Big Lottery Fund by awarding £375,000 for this ambitious campaign. 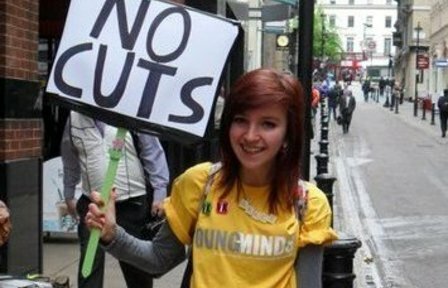 The movement will build on YoungMinds reputation as the ‘go to’ place for children and young people’s mental health and will capitalise on the success of their ever-expanding social media and online networks. Children and young people are at the heart of YoungMinds and they will be at the forefront of the campaign leading the charge for change. Sarah Brennan, Chief Executive of YoungMinds said: “This is YoungMinds most ambitious campaign ever and will build on our ever-expanding online and social media networks. “Over the last few years the barriers around talking about mental health have started to be broken down. Now people are starting to talk about mental health the time is right to deliver the change that is so badly needed for children and young people across the UK. “Every day we hear about the unprecedented toxic climate children and young people face in a 24/7 online culture where they can never switch off. Cyber bullying and sexting, bleak employment prospects and a society obsessed with body image are creating a negative environment around children and young people.